TNM MobileEdition 2.0 delivers all necessary tumour staging information right to your PDA. 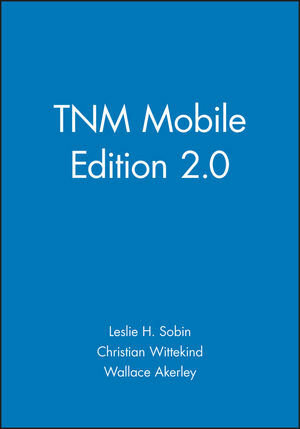 TNM MobileEdition 2.0 is the electronic version of the International Union Against Cancer's (UICC) global cancer staging standard, TNM Classification of Malignant Tumours, 6/E, for use on your Palm OS personal handheld computers, including PalmPilots, Visors, and Sony CliÈs. TNM MobileEdition 2.0 includes the complete text of TNM Classification of Malignant Tumours,6/E, published March 2002. In addition it includes integrated, explanatory text from TNM Supplement, 2/E. This application also introduces the first mobile, interactive tumour staging calculator. It automatically stages the progression of the disease after you enter the T, N, and M components for a patient. And TNM MobileEdition 2.0 now allows you to save patient-specific staging information directly to your Palm OS notepad. TNM MobileEdition is an indispensable tool for all oncologists and other professionals who employ the TNM classification system in assessing the diagnosis, treatment, and prognosis of patients with cancer. Matches the standards outlined in TNM Classification of Malignant Tumours, 6/E (2002). Contains new classifications for: the liver, biliary tract and pancreas, pleural mesothelioma, bone tumours, malignant melanoma of the skin, ophthalmic tumours, and the regional lymph node classification of breast carcinoma. Classification System is identical to the AJCC TNM system. Compatible with Palm Operating Systems 3.0 and higher.